Suddath, John. 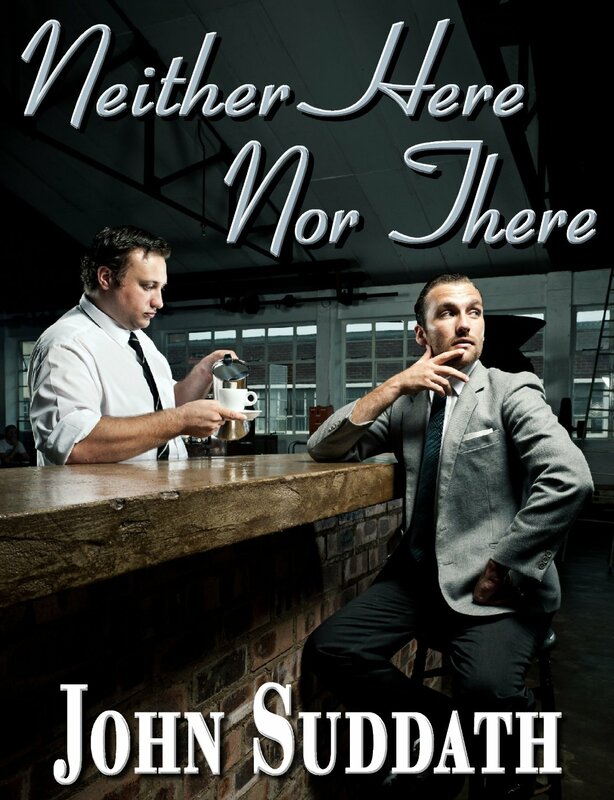 “Neither Here Nor There”, CreateSpace, 2013. I firmly believe that the most positive aspect of the new rights that we feel lately is the right to speak out and not be condemned because of our sexuality. For too long we have had to keep our feelings inside and not express them openly because of fear of condemnation and being set apart from others. Probably the place where this been the strongest deterrent from speaking out is religion and I was truly made aware of how lucky we are when I moved from Arkansas to Massachusetts where my sexuality has been a non-issue. I was reminded once again last night when an openly gay poet read at my temple during the Sabbath service and I was so proud that this has come to be. The fact that we was so fondly accepted reinforced by belief in the goodness of humankind. When I got home last night, I read most of John Suddath’s powerful memoir of his seventy-year struggle against fear and guilt to accept himself as a gay and a Christian man. Many of us have struggled with just this issue and unfortunately many give up and give in thinking that neither God nor religion has a place for them. Suddath had dead-ends and detours on his journey but he learned the most powerful lesson that one can learn by gaining insight into what being human is all about and that sometimes we must take chances. Suddath’s journey was one of self-exploration and emotion and I am sure that many of us can identify with him. I believe that we become who we are because of the way we interact with others and this is extremely difficult when we live in a society that does not know how to deal with some who do not fit the mold of what is morally expected. It is so difficult to live in fear and being told that you cannot be who you are. Often there are clashes of self, guilt and fear and we are relegated to soul searching in order to live while feeling conflicted within. I understand that it took some forty years for Suddath to write this memoir as he had to deal with the emotional cost of being honest and true to himself. He makes no excuses and he does not shy from sharing the emotional toll that this took on him. He harbored guilt because of his sexuality while being a committed Christian and he feared being found out. In effect, he lived two separate lives and was not honest to neither. He was forced to repress his anger against society’s lack of treatment of its gay members and this caused his struggle to last a long time. What he really wanted was to find a way to not only accept himself as a gay man but to understand why he is gay. Suddath tells us about gay life outside of the gay metropolis. His father was a preacher from Texas and his parents paid no mind to his sexuality. He was a good son and did what was expected of him—scouts, school, college, the Navy, dating and his real struggle was with his Christian faith and its right wing statements. Aside from the bigotry of society there was the bigotry of the church, illness in his own family and his pain at trying to find a partner to share his life. While this is his story, it is also our story. He had to deal with the burden of being introverted and being the son of a minister. He also dealt with not only the deaths of his parents but also of a sibling and trying to find the right job. His intelligence and his self-doubts made it doubly hard but he made it and we are so lucky that he has shared that with us. This entry was posted in GLBT memoir and/or biography, GLBT non-fiction on May 3, 2014 by Amos.